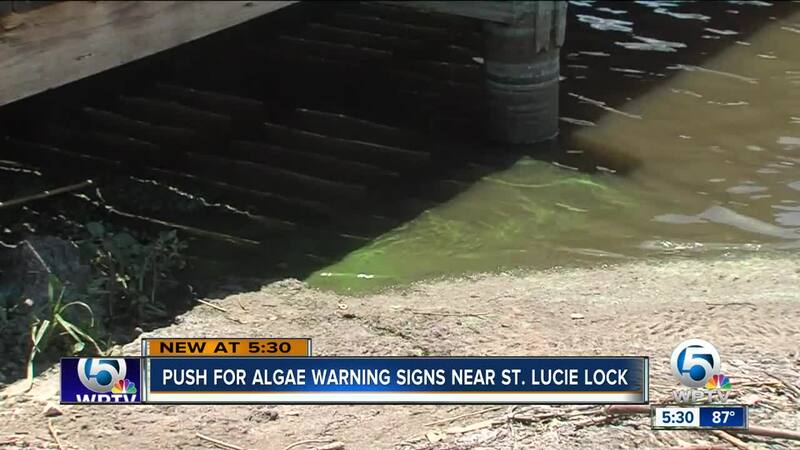 Visitors near the St. Lucie Lock are setting up their campgrounds for the 4th of July holiday but many are unpacking next to something they aren’t too crazy about; algae. “They said well there’s no concerns living or camping near it but they wouldn't recommend fishing or eating the fish or it’s probably best not to come in contact with it,” said Jim Hurley. However, Hurley had to contact the Martin County Health Department to learn that information. He is worried for visitors unfamiliar with the algae in the water and without signs posted, they won’t know about the potential dangers. “During the afternoon the whole entire river just seems to be an entire green sheet, it just is like a slow build along the rocks and other edges, it fills in and it’s just horrible,” said Hurley. NewsChannel 5 reached out to the health department to find out if signs will be posted in the area soon. A spokesperson said the decision is up to the Army Corp of Engineers. 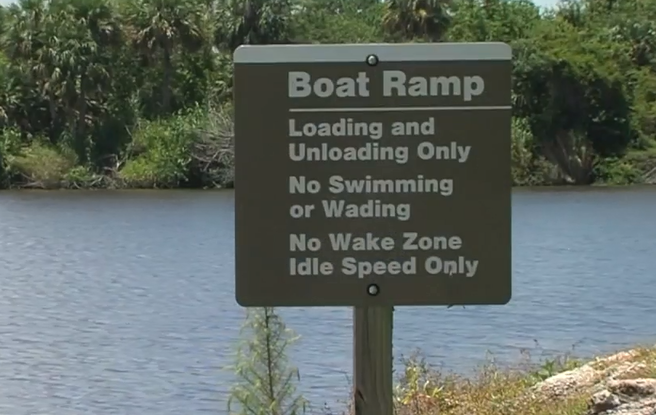 “Signs would allow everybody to know that it may not be safe to fish or even eat the fish out of here or come in contact with the water,” said Hurley. The health department said they have a new slogan you can find on their website that is asking people to swim it, shore it, dodge it, essentially they want people to not wade, swim or swallow water where algae are present.